Phoenix NMR, along with our partner Revolution NMR, has over 120 years of experience in the world of NMR. When it comes to expertise in the field and a desire for innovation and exceptional service, this is a dream team. John began his career in NMR in 1989, machining Double rotation spinning systems (DOR) in Dr. Gary Maciel’s laboratory at Colorado State University (Fort Collins, Colorado). During this time he got to know Dr. Jim Frye, Dr. Cindy Ridneour, and Dr. Charles E. Bronnimann. Through them he met David Lewis, now owner of partner company Revolution NMR, who was working at Chemagnetics on the same project. Upon completing his undergraduate degree at CSU, John moved on to a graduate degree in Physical Chemistry at the University of Washington (Seattle, Washington) under the Guidance of Professor Gary Drobny. In Drobny’s research laboratory, John worked on every aspect of SSNMR — from DNA synthesis and sample preparation to Pulse sequence design, and most importantly the development of SSNMR probes. These probes included a 200MHz HFC transmission line style probe, a 400MHz HFXY, and a 750 MHz HC probe. 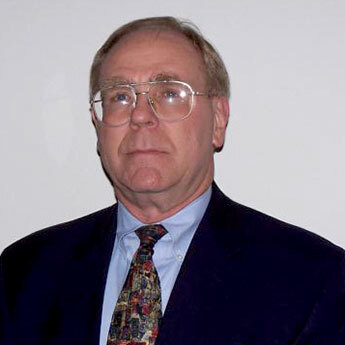 Upon completion of his graduate degree in 1998, John returned to Colorado to join Varian Inc (originally Chemagnetics) as a SSNMR probe designer. At Varian he contributed to the development of a narrow bore (40mm) fully broadband HXY probe line, the Balun probe, the Varian BioMAS probe, a BioStatic probe, and a High Resolution 4mm MAS probe (FastNano). Most recently, while at Agilent Technologies, John lead an expanding group of engineers focused on nearly every aspect of NMR probe design, the culmination of which was a team of ~10 individuals working to develop one of the most advanced sets of In-The-Bore components ever developed. Unfortunately Agilent’s exit from the NMR market occurred before these components were released to the market. 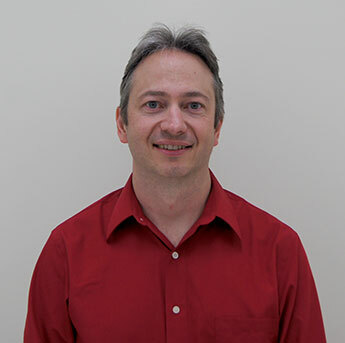 John’s position as COO/CTO of Phoenix NMR now places him in a prime position to bring many exceptional concepts and ideas to the industry and he’s very excited to see where the NMR community takes SSNMR next! John received undergraduate and graduate degrees in metallurgical engineering from the University of Notre Dame. After serving five years in the US Air Force, he embarked on a career in technical, project and executive management. In 1981 he became involved in magnetic resonance imaging (MRI) and played a key role in the development of high field MRI magnets and the mobile MRI market. He served as president of several health care companies and in 1994 was appointed CEO of Otsuka Electronics, which included the Chemagnetics NMR business. Over the next three years Chemagnetics grew from $3M to $13M in revenues. John has since founded a number of companies, included four in magnetic resonance. His role at Phoenix NMR is to complement the technical expertise and market credibility of the team with business and commercial expertise. In 2001, Mario started his career in NMR working in Varian’s SSNMR probe production department. In this role he became familiar with a wide variety of probes, from assembly through to final test. He worked very closely with the R&D team, which included John Stringer, Chuck Mullen, and David Lewis, to ensure proper operation of both new and repair probes, as well as any special probes. Specifically, Mario was in charge of tuning WB HFXY and all high field probes. After 5 years in probe production, Mario took a position with the installation and service team as a magnet installer where he learned to work on both Oxford and Magnex magnets, as well as entire systems. 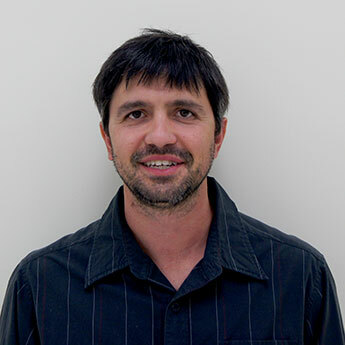 Through this experience Mario established strong relationships with many scientists in the NMR community and gained significant knowledge of the diverse applications or NMR. This knowledge and familiarity with the community has fueled his passion for continuing in the field of NMR. After 5 eye-opening years in installations, Mario accepted a position within the R&D group he had worked with at the beginning of his NMR journey. In his new position Mario served as the liaison between production and engineering, helping with troubleshooting, as well as managing the development of all special probes, from quoting to shipping. Mario’s position as the Director of Production and Service at Phoenix NMR will allow him to employ the skills and knowledge he has gained in his varied NMR roles to provide a great experience for customers. He is looking forward to building new relationships within the NMR community. Chuck began his NMR career in October of 1986 when he was hired as a probe assembler for Chemagnetics, working with David Lewis. The first couple of years were spent learning about RF circuits/tuning and mechanical assembly, but quickly led to learning how to machine probe parts. As Chuck’s understanding of RF circuitry, machining and mechanical design increased, designing probes became part of his job. Chuck became the probe production supervisor for Chemagnetics and held the position for several years. As Chuck’s interest in NMR increased, he moved into service to learn system operation and learned how to build, test and service NMR spectrometers. It was exactly what he needed to develop a full understanding of how the probe and system work together. After working in service, he turned his focus back to probes and began designing the “Coaxial Probe” with Dr. Phil Kuhns. This was when Chuck discovered that research and design was his favorite area to work in. As he progressed with design, he returned to school and received a BSME degree in 2001 from Colorado State University. This degree allowed him to further develop NMR equipment while working for the Otsuka and Varian NMR analytical team. This is where he met John Heinrich, then CEO of Otsuka Electronics. Shortly afterwards, Varian bought the Otsuka team and Chuck was able to continue designing and building NMR probes and equipment. While working for Varian Inc., Chuck, along with John Stringer and Mario Incitti, further developed narrow and wide bore T3 tuning, Bio-MAS scroll, Balun probe technology and Lo-Gamma and VT stack accessories. As the team transitioned from Varian to Agilent, they continued to develop “Solids cold Probe technology, and “In the bore technology” until Agilent decided to leave the NMR market. 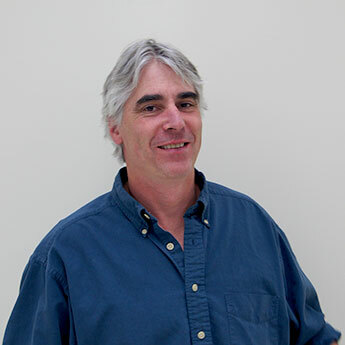 As an integral part of Phoenix NMR, Chuck looks forward to continuing the development of next generation NMR probes and related equipment, and taking science to the next level. One of Phoenix NMR’s key assets is its relationship with Revolution NMR. Since its founding in 2004 by David Lewis and John Heinrich, Revolution NMR has provided the solid state NMR community with spinning systems and components, unique probes, and probe repair services of the highest quality. Revolution’s facility in Fort Collins currently includes a state-of-the-art CNC shop and spinning and electronic test services. Revolution will provide spinning systems and machined parts for Phoenix NMR and will complement Phoenix’s capabilities by providing fabrication of non-standard probes and repair of older Varian and Chemagnetics probes along with spinning systems and components. Visit www.revolutionnmr.com to learn more.